Get Connected Reviews Recently Reviewed! Pros: The software is easy to use, looks great online and offers rather robust back-end features for our partner agencies and as the site manager. It's also very user friendly for both agencies and volunteer team managers. We are very excited about the growth we've seen and the positive feedback we've received by our agencies and volunteer users. Cons: There is nothing that we like least about the software! It's so useful to organizing volunteers and helping us streamline many processes. We still have the issue in our community that we have more volunteers than needs available or posted on the platform. While we have created a custom form on the site for a group of volunteers to request a volunteer need (specifically for teams of 5 or more people), we could use a few more features to help manage these company-based groups and to be able to streamline the process between the group's request, submission of project/needs from agencies specifically for a group, and actually matching the group to a need. We have also had more companies ask about collecting t-shirt sizes or other data from their employees upon sign-up, and I'm still working on a few work-around ideas for this. To address this process, we are currently utilizing a combination of the private volunteer need setting, user groups and initiatives. We may also start setting up custom pages on the site to organize a company's series of private volunteer needs into one centralized page that doesn't initially require a login by the user to view the need. Overall: Ease of use, better coordination of volunteers, increased marketing and awareness. 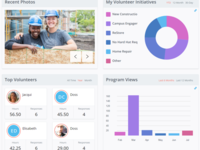 Comments: When West Virginia University decided to upgrade our volunteer management software, there was a lot of time and research put into the process. We have many "moving parts" to our needs, including integration with university data, single-sign-on, special reporting, large day of service coordination, and academic service-learning. No only did Get Connected turn out to be the best fit after our initial examination of the options, but WVU is very happy with our choice--mostly because of how much we admire and appreciate the caring, dedicated, smart, and cooperative staff at Galaxy Digital! Anyone who does work in the community knows that customer service is KEY. Galaxy has figured this part of their business model out to the fullest. 24/7 support online coupled with quick and effective communications via phone/email really has been instrumental in successfully launching our system. WVU is a large client for Get Connected (40K+ users with 7,500 hours tracked in our first 6 weeks) and the company has just been wonderful to collaborate with in the process. Open to system enhancements every 8 weeks or so, Get Connected has ALREADY implemented WVU's suggestions for system improvements, and has been a great partner to discuss future development opportunities. The software is a great match for our needs, and more importantly will be able to grow with the needs of our students and community. All users, including our students, faculty, staff, and community partners have loved the change and especially appreciate the clean navigation in Get Connected as well as the mobile functionality. Whether you're a small organization or a large land-grant institution of higher education, Get Connected is worth exploring if you need volunteer management software. We're happy to be part of the Galaxy Digital family, and hope those folks know that they're now part of our Mountaineer Family! Pros: It's easy to use and most of the public can use it relatively easily. Cons: Would like more reporting functions (more detailed). Although I can get all the info on an excel spread sheet, since we've had this system since Aug. 2013 and there are 5,000+ users in the system, that's a lot of info to have to filter through to get what I need. Overall: I find the software easy to use from the administrator viewpoint and easy for the public, as well. The customer support is excellent! They have been very responsive, in a timely fashion, and always willing to help with whatever issue I might have. Recommendations to other buyers: For most United Ways, this system will work for you and I feel is the best product out there. There may be some really larger organizations that may need more detailed information and more functionality, but the majority will find this meets their needs. Pros: The software is user friendly, looks amazing on any device, and is incredibly versatile whether you are a macro level organization coordinating your catchment area's volunteer center, a single nonprofit looking to ramp up their volunteer engagement, or an individual searching for volunteer opportunities. Additionally, the support team is one of the best I've ever worked with. Huge props to the crew at Galaxy Digital for working with us whenever we need assistance or help brainstorming! Cons: There's really nothing to complain about in terms of the software - we made a giant leap forward when we decided to move to Get Connected/Galaxy Digital and couldn't be happier! Pros: Easy to use and allows people from different skill levels to navigate it easily. It is a great portal for volunteers and agencies. Cons: Sometimes I have to remember the steps to accomplish a task that I do not do frequently. I have to go to the help screen and figure out what it is called to search. Overall: It allows our community to have a portal for volunteering. Pros: Get Connected is perfect for our needs. Agencies have autonomy over managing their individual pages, and users have control over the level of communication they receive. There is a robust help platform, and numerous features we haven't even had time to explore yet. Cons: Nothing - the software is easy to use, has wonderful features, and the company is constantly making improvements. As an administrator, I found the communication filters a little confusing initially, but found all the support I needed in the help center. Overall: The ability to educate and inform our community about the specific volunteer needs of local agencies, while providing those agencies with tangible support and a framework for managing their volunteer programs. Pros: This tool allows administrators to have master control over the site. 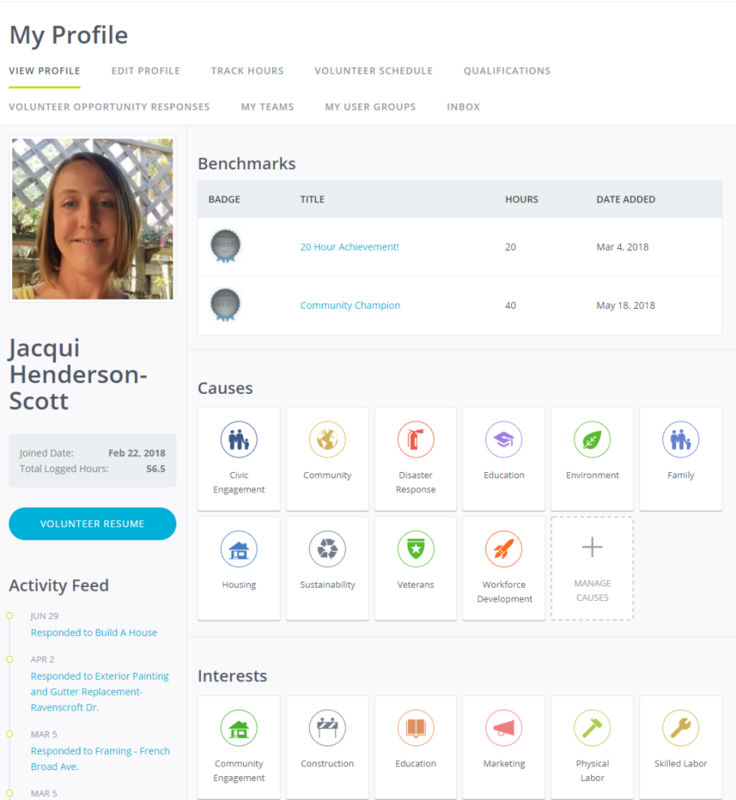 Users can easily view and respond to volunteer opportunities. Agencies can quickly and easily export their responses. The best part for our organization is the automated reminder and confirmation emails. The customer care team is top-notch and they respond quickly. Cons: Using this software as a manager takes a little bit of training, especially as a manager. The dependence on an email address as the user's login or check-in has resulted in some users having multiple accounts. Overall: Our user engagement has increased by 38%. Pros: Whenever I run into a snag, customer service is friendly and prompt and takes care of my issue immediately. Cons: Maneuverability is an issue. It could be a bit more straight forward in some of the more complicated features, or provide detailed instructions. Comments: Our volunteer center could not do the work we do as easily and efficiently as we can when using the Advanced Events module. Being connected to a United Way, we run several large citywide Days of Caring each year. The Advanced Events module allows us to attach our 30-40 projects to an overarching event. Both our nonprofit partners as well as our volunteers have shared how easy it is to post their opportunities and register team members. In the past we "held" spots for corporate volunteers that many times did not get filled and left the partner organizations with unfulfilled needs. With the ease of the team functionality, that no longer happens. Pros: The easy to use functionality. And that we can connected with other volunteer centers who are on the same platform. Cons: We are connected to another Volunteer Center but we cannot filter out our own agencies and needs. Users on in our local area cannot easily filter out the other Volunteer Center Agencies and needs. Overall: It is our main tool to connect volunteers across seven counties in Southern New Jersey. Comments: The software is easy to use for the volunteer which is VERY important. There a lot of options for information from the agencies to be provided. We receive positive feedback from agencies as well. We used Volunteer Solutions before and even though it was cluncky, I find myself missing the customization features of it. It would be nice to have more options on reports. We have reports that we have to provide for our HON affiliate report and I have to create a reporting system outside of Get Connected to collect data that I need to report. It would be great to be able to choose what is the default of the site, for example to have the default view be list view instead of grid view. For large events that have many opportunities, the list view has more per page and grid view creates more pages to sort through for the volunteer. I would like to create standard volunteer questions (such as a t-shirt size question) that I could just choose instead of having to enter it each time an event is created. It is also laborious for the event manager to go back and post the hours after a large event, it would be helpful to have the option of mass approval of hours for an event instead of individually. 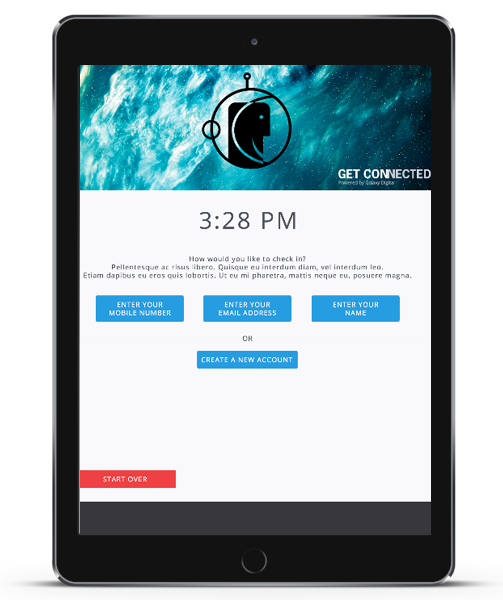 Pros: Get Connected has a clean and modern look, and it is easy for administrators to make updates, customize, and gather data. They offer training videos for all types of users and are quick to answer support questions. Cons: To sign up for a volunteer activity you must have an account. As a volunteer management agency, this is actually a pro, but some users do not like creating an account. Comments: I came into the position working with this software after it had already launched at our United Way. Before I came on I had experience working with Get Connected from the Agency side of the website so that helped in my learning process. The articles and webinars available for training were exceptionally helpful in training me and my colleagues on how to best use the site and train our agency managers to use it as well. I have heard nothing but good reviews from our agencies in regards to this software and how beneficial it has been for them in recruiting their volunteers. Get Connected has also served as a wonderful tool for allowing our United Way to spread the word and mission of our Volunteer Center to the community to build a larger volunteer base. Our number of newly registered users and opportunity responses grows exponentially each month. Hi Andrew! We're so happy to hear about the positive impact Get Connected has had in your community and will continue to work our hardest to make sure the trend continues well into the future. Thanks for your review! We are very pleased with the software and the prompt help we have received from Galaxy. Digital. Pros: It has plenty of help menus and seems to be rather self explanatory. Also any question we could not find in the help menus was answered quickly by customer service. The initial training was easy to understand. They also provided a video link so we could all view it again when we need to refresh our memories. Cons: There are so many features that it is going to take me a while to learn all that we can do. After 4 months, I don't think I have used more than 1/3 of the features. But we will get there. Overall: We are just getting started in our area with building our volunteer base. Everyone is excited about the possibilities. Pros: Easy to post needs and track volunteer sign-ups. Keeps track of volunteer hours for easy reporting. Cons: Volunteers must submit their hours for each volunteer activity. Not very user friendly way for volunteers to check in. The staff has all been very supportive with everything we have gone through with working with Miami. Pros: I like how all volunteer opportunities are in one spot, it makes it easier for me and the potential people to use the site. Cons: I wish we were able to delete certain information ourselves. I needed to ask someone to delete the fake company made in the walkthrough. I wish there was a way to do that myself in case I accidentally approve something I didn't need too. Overall: We focus on volunteering at United Way. Comments: Our new VolunteerWNY through GC has positively transformed our landscape. This is a very easy system to utilize and has almost tripled the impact we're able to create in our community. I absolutely enjoy working with the software. The feedback from our volunteers and partners are always positive. There are some features that aren't as user-friendly per some of our volunteers and partners. I would argue that this reflects the digital divide among users (generational). In addition, there are various improvements that could be implemented in the AEM to make tasks/functionality easier for users/partners/admin. I would be happy to share those thoughts and ideas with GC. I understand that some of these ideas might only apply to our current environment and projects being management. Software is great. Service support excels! Pros: Ease of use. Both agencies and volunteers are able to register and navigate around the site intuitively. Add into it the fact that it is visually appealing, and it makes for a great user experience. Cons: Some users are overwhelmed by the number of automatic responses, but that just encourages them to make refinements to their selection of interests, fans and causes. Comments: I was hoping that this program would allow us to do more. More so related to the advanced events from an admin standpoint. We need to be able to add opportunities without having an agency registered. Some of our Day of Caring agencies aren't organizations who need volunteers year-round and thus an entire profile is not necessary. Also, we need a group leader to be able to sign up a full group without needing all of the names or individuals to sign up on their own. We have large corporations with one leaders who does it all. It is extremely discouraging and turning volunteer groups away from volunteering for this year's Day of Caring. We are such a small organization and the cost (while known upfront) is alot for us for a software that can't perform like we need it to for our biggest volunteer event. Hey there, Morgan! Thanks for your feedack. Great news: Get Conneced offers several existing options that allow multiple users to sign up for Advanced Events (even for group leaders representing a team or company!). Better yet, our new Corporate Connect software is available now for your corporate partners so they can connect directly with your Get Connected site and respond quickly and effectively to all your listed volunteer opportunities and campaigns on a year-round basis. Please contact our Customer Care or Sales teams for more information! Comments: The major pro is that it's easy to contact a person about technical problems or issues I've had. One of the cons I've found is that it's not always user friendly for our agency managers. They have trouble understanding the website. Hi Kathryn! We pride ourselves on being considered the most user friendly platform for both agencies and volunteers in the market, which is why we offer free training sessions to ensure that your partners feel confident and in-control when using the great engagement tools at their disposal on your Get Connected site. Please reach out at any time to Customer Care for the recurring Agency Training schedule! Comments: I would say the biggest pro is the customer service. As a fairly new administrator I am always eager to learn and master a platform that I will be utilizing but also be promoting use in the community. I have participated in many of the webinars and training sessions and when I have a question or a possible enhancement idea the GC staff is always great to work with! The only con I can think of is if you have a part of the platform that I would like to see changes to or an enhancement for easier use, there are times when the changes can't be made because the platform is generalized for multiple users in multiple organizations. Since using Get Connected, we've doubled sign ups and participation for our Stuff the Bus event. Pros: This software is very user-friendly. It was easy to set up and collaborate with partners to get on board with creating accounts and sharing volunteer opportunities. I also liked how customizable the software is and the ability it has to fit our needs. Cons: I will occasionally hear from some volunteers that they find it a little time consuming to sign up and create an account. We also communicate with all volunteers who have a hard time navigating the system to connect with the help forum or to reach out to us with any issues. Galaxy Digital also repsonds prompetly and fixes any issues we may stuble upon. Comments: This review will be mostly in regards to the service-learning module. Every semester we deal with a number of issues in regards to agency managers being confused about how to use the SLM. In some cases we have even stopped asking them to be involved in the process because it can cause them so much frustration. I believe that the main problem is that the website is not necessarily initially intuitive for new users. It is much easier to understand if you use it frequently, but if you infrequently use the website or are new to it, most users find that they need help figuring out how to use it. I am the primary manager of the software for our agency for the past 3 years. Comments: Although not intuitive in use, the software is fairly easy to learn and use. The task of encouraging other agencies that we support to utilize the software has been somewhat challenging. Turnover of agency staff is a large component of this issue as the task of marketing the benefits and training in the usage of the software seems to be an ongoing effort as staff changes occur. Customer service from Galaxy is top notch. My questions/concerns have been responded to quickly and pleasantly. Comparability with donation-related software would make Get Connected a super effective software. Get Connected has made our jobs easier and benefits our community every day! Comments: The Get Connected software was the perfect solution for our United Way. It is our mission to connect people with meaningful ways to serve but there was never a way to do that efficiently. Within just a few weeks of our launch, individuals were suddenly aware of the vast number of needs and had the tools to connect with organizations of all kinds. Our launch process was the smoothest I have ever experienced with a software company and the ongoing support is incredibly helpful. I believe Get Connected solves a number of issues with one product and is the best in the business. Great way to engage with our volunteer! 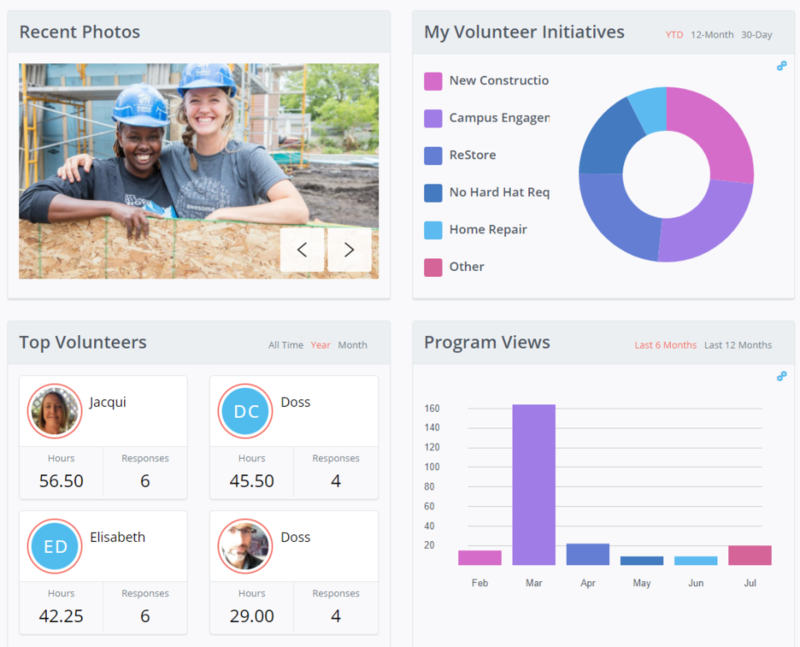 Comments: This software provides a clean and beautiful user interface for volunteers looking for opportunities on our database. The customer service team is incredibly responsive in helping with any issues as soon as they arise, and issues are few and far between. We have begun posting most opportunities within the Advanced Events and/or the Disaster Response Module, and as we are learning more about the capabilities of these modules, it has been incredibly beneficial to more specifically track volunteer activity and provide detailed opportunities in the event of an emergency. We love that Get Connected has increased volunteerism in our communities! Comments: Our Get Connected platform - found at www.volunteermain.com - has been a wonderful new tool for our communities and has provided an ease to volunteering that hasn't previously been available. The users and agencies appreciate the ease of use and the users especially love the email feature that they are notified via email of new needs. The support staff has been wonderful and made the entire set-up process very easy. We look forward to continuing to grow our traffic on the site and keep increasing the volunteer impact within our communities. -The feature to find an agency doesn't work. You can put in the agency name and it will no longer find it, but rather you have to look at the whole list. -The Group/Team volunteer opportunities is no longer available and this is a HUGE hinderance. Hey Tracy! Thanks for your kind words and feedback. We have great news for you: our August 2016 Enhancement Release will include a feature that will allow users to search for Agencies by name (yay!). As for the ability to post opportunities for Groups and Teams, you'll be happy to find that it's a setting that currently exists within Get Connected, so please get in touch with our Customer Care team to get you started. Get Connected makes coordinating volunteers simple. Comments: There are almost no downsides to using Get Connected. Adding and editing agencies and their needs is such a breeze! Not to mention using the Advanced Event Module for our Day of Caring Event is great because we can always build off of previous years to make the process that much easier. If that wasn't enough, the support staff is always helpful and eager to answer questions whenever we've been stuck trying to figure anything out. Galaxy Digital, keep up the good work. Comments: I just started with my company a couple of months prior to the upgrade so for me it was a little overwhelming. I had just started learning the old system when the new one was put into action. I have to admit it was quite intimidating. With the help of some of the ladies from your customer care department, it has gotten a lot easier for me. I am still learning everyday and I hope to one day know the system in and out. Comments: Pros: -Easy-to-use interface for agencies and admin. -Improvements happening regularly with system. Cons: -Look of software from user side is still a tad outdated. Hi Amanda! Thanks for your great feedback. We are always working to improve our system and are working on key Manager Panel updates in our August enhancement release designed to greatly augment your user experience. Stay tuned for upcoming announcements! Comments: I'm a beginner at using this website as my county's new volunteer coordinator. So far, it's not been hard to use, but it does seem to be a little bit dated. Hopefully, when we're upgraded to 2.0 this will change, but I wish there was a way to have our streaming treats shown to visitors down the right or left side and I wish we had a better Facebook integration. Hi, Landdis! We are excited to help your volunteer center transition to Get Connected version 2.0 via the free upgrade available to all existing customers. 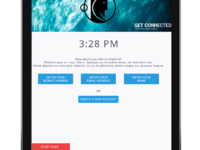 Get Connected V. 2.0 has amazing features including a sleek, mobile-friendly interface, social media sharing tools, and volunteer matching via causes and interests. It won't just make your life easier as a volunteer coordinator, but will also enhance your volunteers' and agencies' community engagement experience. Please contact our Customer Care team to get started! The system is fantastic. Our users (volunteers) increased 150% since switching to GalaxyDigital. Comments: Fantastic customer service and support. Rollover from our old system was painless. Seeing increased referrals and positive feedback from partner agencies. Only big complaint is it would be helpful if we could list advanced events on the calendar instead of the individual needs and if we could enter needs by shift instead of each shift individually. Looking forward to continued working with this system. This software is very easy to learn and use. It is also easy to train other agency partners. Comments: I wish there was a way for the administrator to be able to email certain agency's that have needs that have expired, or ongoing needs that are 3 years old, or events that happened two years ago in an easier manner. I do love how easy it is to post needs and events and to teach others how to use it. It is also something that anyone in the community could pull up and figure out how to use it very easily. Comments: I do not like that as a agency manger my personal account is the first thing I see each time I access the program. It is always an extra step. I access the program ALOT and it is ALOT of extra steps. I wish that it had more ways to promote advanced events on the side of the front page. Three spots is not enough for a busy Volunteer Center. Comments: As a United Way we purchased Get Connected as a way to fulfill our mission of "coordinating and promoting the caring power in the community." Using Get Connected is a great way for us to start the conversation with local citizens and businesses about how they can be involved in the community changing work we are doing. Get Connected is an efficient way for our organization to coordinate and track volunteer activities. Comments: Get Connected is user friendly and can be incorporated directly into our own webpage. Our partner agencies can be added in a way that allows them to upload their volunteer opportunities directly and also manage events. Get Connected provides the tools we need to operate a successful community engagement program. Comments: The customer service from the Galaxy Digital team has been top notch! As a campus volunteer manager, we have had quick and accurate information from the Galaxy Digital team whenever we contact them. The team members are very knowledgable and are able to help troubleshoot any issues with ease. Comments: Overall, our experience with GetConnected has been positive and a great improvement over the last system we used. They answer questions very quickly and respond to problems in a timely manner. I wish that the Advanced Events system was a little more flexible in how we could set up the events, especially since we have a lot of multi-day events with shifts. And, the group sign-up feature isn't the easiest for our users. Hi there, Ashley! Thanks for the kind words about Customer Care. Our clients' feedback is at the forefront of all our planned system enhancements, so you'll be happy to know that updates to the Advanced Events system are currently scheduled for Fall 2016 - stay tuned! 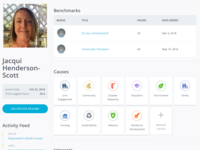 Comments: The Get Connected software by Galaxy digital is so easy to use and it has saved me a lot of time with helping people get involved in volunteer opportunities in our community. We have been using the site and all of the agencies who use the site seem to really enjoy it as well! Comments: We had a very quick ramp up with Get Connected...because they "get it". Easy to manage. Easy to learn and teach. Lots of functionality that volunteers and agency want. Great customer service--helping us overcome obstacles and listening to and acting on our experiences. Comments: Customer service is exemplary (Nina is awesome!) whenever there is a problem they are quick to fix it, everyone listens to what we say and add it to enhancements. Super easy to use externally, things such as making surveys could be easier to make internally. Comments: I really like the software and overall it's very intuitive and easy to use. There have been a few things that I've had to use "work-around" solutions to achieve, but the customer service team has been very helpful in providing assistance to help me do so! Comments: We started working with Galaxy Digital in May of 2013, and we have had some amazing feedback from our partners and community volunteers. The software is easy to use, and the admin site is so helpful in keeping track of everything. We've been using it for about a year; I manage content creation. Comments: The way things are set up in the back end can be a bit hard to navigate. We've also had a few issues with links taking certain people to the wrong page, but customer service has been great in helping us navigate those issues. Comments: The customer service is fast and very helpful. Users are very impressed with how easy it is to use the website, and how great everything looks. Overall it is a wonderful tool for our community! Comments: The ease of use and mobile-friendly format have greatly improved our volunteer center's ability to efficiently connect those who want to volunteer with opportunities to help. Comments: We love our Get Connected software. It has been a phenomenal addition to our United Way. The staff and support have been exceptional and we are thrilled we made the switch! Hello Timna! We are always looking to improve Get Connected and welcome feedback from awesome clients like you. Get Connected's user-friendliness and customizability keeps increasing with each regularly scheduled enhancement round - if you like us now, just wait until you see what we're developing to optimize your user experience!